The UAE has jumped three places to become the seventh most competitive economy in the world in 2018, its best ranking ever, reveals a global study released on Wednesday. The IMD World Competitiveness Centre’s 2018 data showed that the UAE secured No. 1 ranking in 20 indicators and achieved top positions in several others. The UAE surpassed Norway (8), Sweden (9), Canada (10), Germany (15), Australia (19), UK (20), Japan (25), France (28) and Italy (42) in the rankings. Jose Cabellero, senior economist at IMD World Competitiveness Centre, told Khaleej Times that the UAE has made tremendous progress in competitiveness in the last years, climbing to the top 10 in 2017 and further advancing to the 7th position in 2018, driven by top ranking in areas such as ‘international trade’, ‘international investments’ and ‘attitudes and values’, to mention a few. “The UAE is a competitiveness model for the rest of the world. The public sector facilitates free enterprise; it provides the infrastructure and regulation that the country needs. At the same time, the private sector is innovative and socially responsible. Companies are agile and corporate governance is sound,” he said. In order to improve its ranking further, Cabellero said the UAE needs to improve in some segments such as social fairness, investment in education and high illiteracy among a certain segment of its population. “The health system still relies on private financing and health infrastructure is not at the level like other top countries. These are not difficult challenges for the UAE; the right policy can be implemented because the country enjoys a social consensus of what must be done, and its rulers are pro-business and pro-competitiveness. Therefore, the upward path of the UAE in world competitiveness is bound to continue in the coming years,” Cabellero added. Anita Yadav, head of fixed income research at Emirates NBD Research, said the main reason supporting the improvement in ranking is the UAE government’s commitment to improvise the business climate and investment environment to attract international investors. In addition, several other factors assisted in improving the ranking, such as the absence of tax, improving efficiency of government spending, ease of dealing with the government, including ease of paying taxes and supportive road, port and air infrastructure. 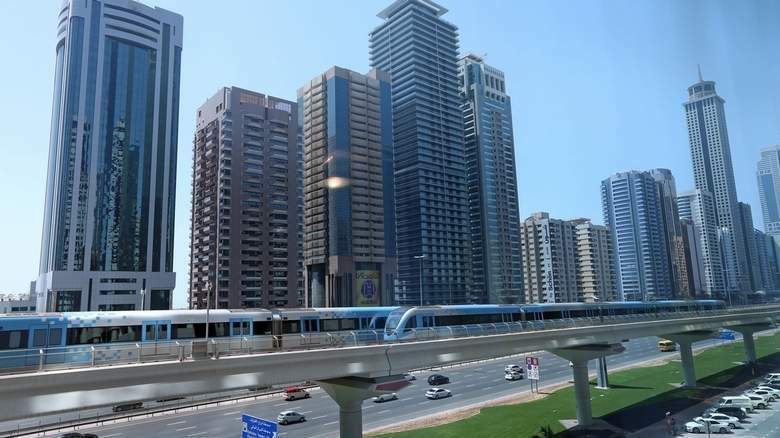 The IMD World Competitiveness Centre’s 2018 report data showed the UAE topped in current account balance (percentage of GDP), attitude and values in business efficiency, international trade, employment percentage, relocation threats of production, relocations threats of R&D facilities, relocation threats of services, consumption tax rate, government decisions, ageing of society, immigration laws, redundancy costs, labour force, overall productivity, international experience, competent senior managers, attitude towards globalisation, need for social and economic reforms, public-private partnerships and quality of air transportation. Commenting on the impact of the UAE Cabinet’s announcement of a 10-year visa for professionals and investors and 100 per cent foreign ownership in local companies on the country’s competitiveness ranking next year, Cabellero said this decision would increasingly attract foreign talent to the UAE, but its impact can only be assessed in the next years. “However, we note that countries which are open in terms of trade and dedicated to the attraction of foreign highly-skilled workers show an outstanding competitiveness performance,” he added. Yadav noted that the recent changes would further boost the UAE’s image as an investor-friendly destination and assist in improving its competitiveness ranking. There appears some scope for improvement in ‘innovation and sophistication’ sub-set. Majid Saif Al Ghurair, chairman, Dubai Chamber of Commerce and Industry, said new initiatives announced by the government will attract foreign investment and reduce the cost of doing business in Dubai. The new initiatives will strengthen Dubai’s appeal as a global business hub, and attract top talent, valuable expertise and innovative companies from around the world. According to the IMD World Competitiveness Centre’s report, all Middle East countries experienced improvement, with the exception of Saudi Arabia which dropped 3 places to 39. Qatar was ranked the second most competitive economy in the region at No. 14 followed by Saudi Arabia and Jordan (52). Globally, the US overtook Hong Kong to become the most competitive economy followed by Hong Kong, Singapore, the Netherlands and Switzerland. In Asia, Japan (25), South Korea (27), Malaysia (22) and India (44) all saw slight improvements while Taiwan (17), Thailand (30) and Indonesia (43) dropped a few places. The Philippines experiences the most significant decline in the region, shifting nine places to 50. Western European economies followed an opposite pattern, with very few countries advancing in the rankings this year. Ireland (12) and Luxemburg (11) slipped out of the top 10, dropping six and three places respectively. Germany, Finland, the UK, Iceland, Belgium, Spain and Cyprus all experienced a decline with respect to last year. With the exception of Cyprus and Spain, all countries experiencing a decline in the overall rankings show signs of a slowdown in economic performance to different degrees. Most Latin American countries improved, with Argentina (56), Brazil (60) and Peru (54) advancing in the ranking.